" Never used a full face mask. Very comfortable and easy on/off. " 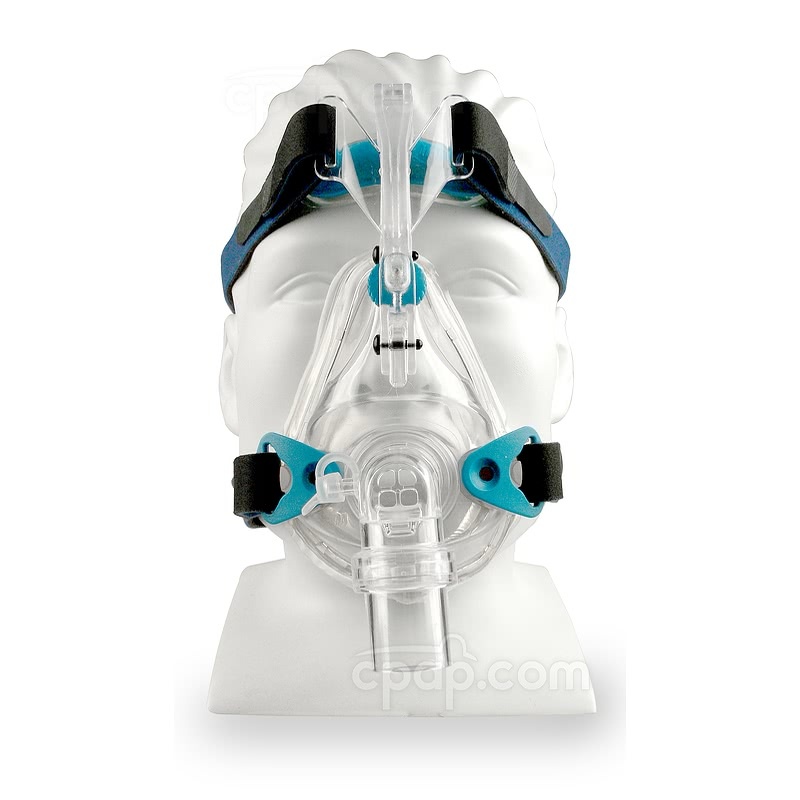 The Mojo Gel Cushion Full Face CPAP Mask with Headgear features a gel cushion to contour to the face for the best fit possible. Use of a tension wheel and four point headgear allow for quick adjustments. 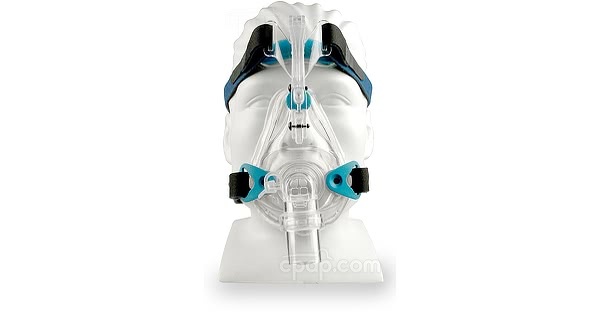 The Mojo Gel Cushion Full Face CPAP Mask with Headgear has a contoured shell follows the curves of the human face and easily bends inward and outward for a comfortable fit. Air leakage is eliminated by adjusting the headgear, as the dual beam element transfers the force of the straps to the center of the mask. SleepNet's proprietary tension wheel fine-tunes the fit. Unique magnetic clips are virtually foolproof. 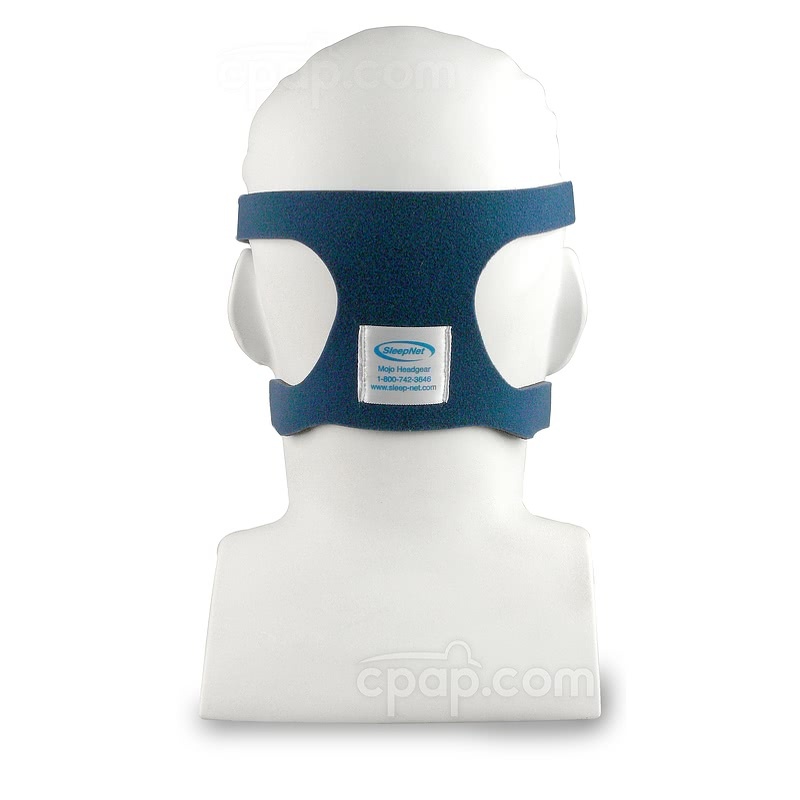 They easily click into position securing the mask and keeping the straps in place. The clips also allow for a quick release of the mask. The SleepNet Full Face Mask, designed using strong, durable and medically approved materials, will easily withstand the rigors of home or travel use. 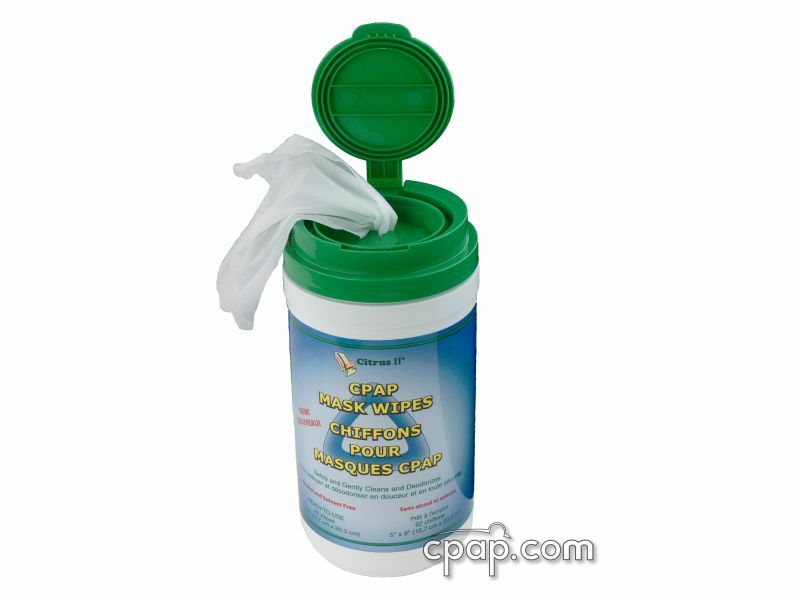 Please Note: The manufacturer of the Mojo Gel Mask has changed the color of the Airgel gel cushion. It is either blue or clear. Sleepnet has provided a sizing gauge that you can download, print and cutout. When printing the file using Adobe Acrobat, please make sure you set your Page Scaling to "none". 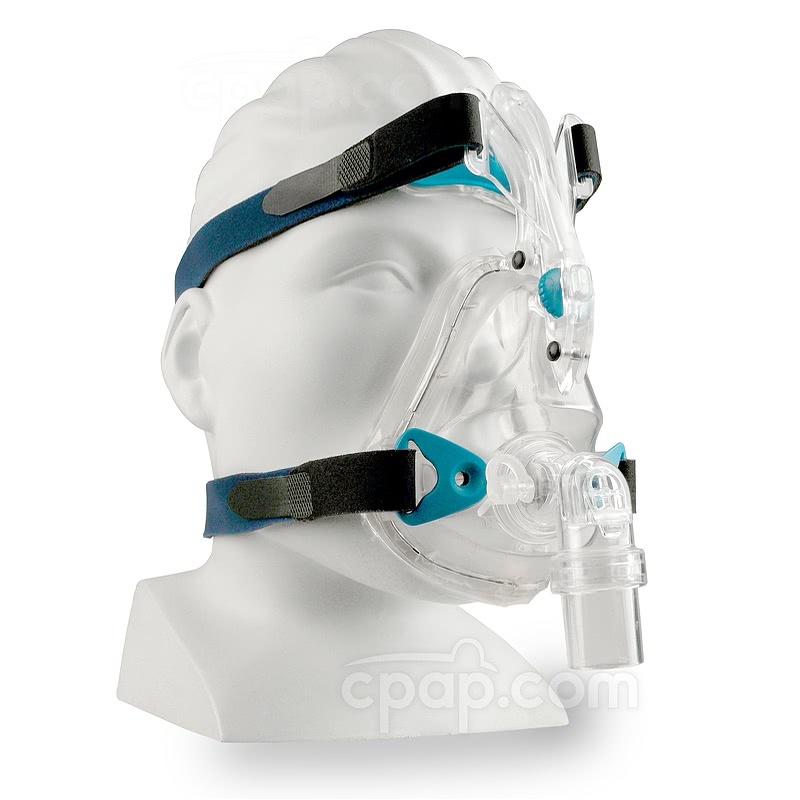 The Mojo Gel Cushion Full Face CPAP Mask is one unit. The cushion is not replaceable. 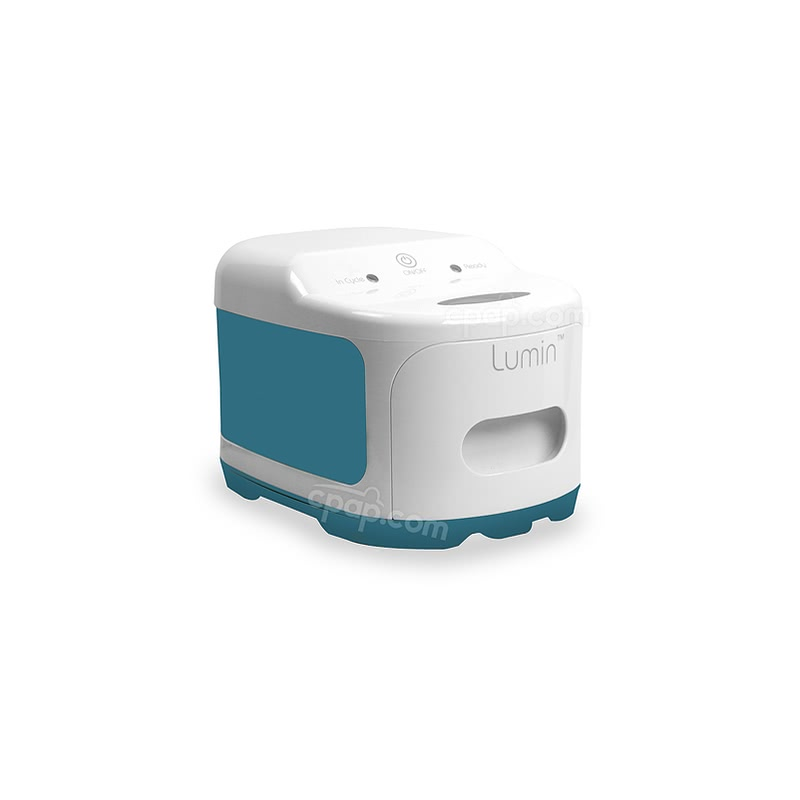 To find the size of the unit, turn the mask so the elbow is facing the user. On the left side, locate the blue headgear clip. Below the clip, look for the small letter that is embossed into the mask frame. The letter will indicate the size of the mask. It is best to use direct sunlight or bright light to locate the letter.